Save Up To 50% Off & Get Free Shipping! Not so long ago, scientists at UCLA made a surprising discovery. They wanted to understand how probiotics affect the brain and mood. So, they decided to run a test using brain scans. What they discovered shook the foundations of probiotic science. It has even led some scientists to suggest that probiotics should be called "psychobiotics." While the term might sound odd, I promise it has nothing to do with an old Hitchcock movie. You see, the UCLA researchers discovered probiotics have a much bigger effect on how your brain works. The UCLA study began with a simple goal. The researchers set out to see how the brains of people who consumed probiotics worked differently from those who didn't. Participants were hooked up and prepped for the fMRI. Then, they looked at pictures designed to stimulate emotional responses. As they did, brain scans were done. The group that got a placebo without probiotics performed as expected. They showed activity in the sensory and emotion areas of the brain. The Probiotics Group Showed Higher "Executive Function"
Thinking like this helps you stay calm. You feel less anxious. It's also the area active when you think most clearly. The UCLA researchers had discovered a link between probiotics and higher thinking. It wasn't that probiotics altered the participants' emotions. The probiotics enhanced their ability to think and respond. This study led researchers everywhere to realize probiotics do a lot more than aid digestion and ease gas and bloating. Probiotics affect how well - and clearly - we think. Did Scientists Discover the Real Power of Probiotics? After the UCLA study, researchers around the world began to dig deeper into the relationship between probiotics and the brain. Another research team recently put probiotics to the test. In the first stage of this study, researchers used antibiotics to remove "good" gut bacteria from the digestive tracts of mice. You see, even though we use antibiotics to fight illness, they kill both the "bad" bacteria and the "good" probiotic type. Antibiotics don't distinguish between the two. ...brain cell growth also stopped! 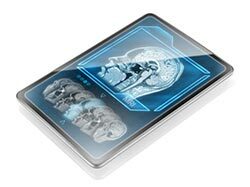 The lack of probiotic bacteria did more than affect how the brain works. It even affected the brain's physical well-being! 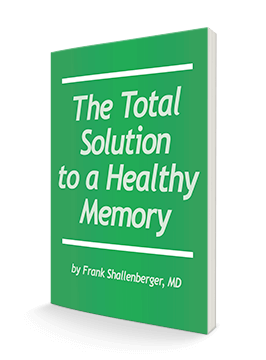 Studies like these continue to show a strong connection between the presence of probiotic bacteria and clear thinking, memory and brain health. Today it's obvious that relief for gas, bloating and diarrhea only represent a small part of what "good" probiotic bacteria do. It's also clear there's a need to maintain consistently high levels of probiotics in the gut. Researchers have identified more than 1,000 species of "good" bacteria in the human gut. They all contribute to digestion, nutrient absorption and immune function to varying degrees. 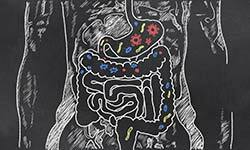 Of the thousands of probiotic strains, scientists report a few are more special than others. They refer to these strains as "keystone species," a term borrowed from environmental scientists. Without lions, the savanna will quickly die off. Grazing animal herds grow out of control and eat all the grasses. Soon, they starve to death. Then, smaller mammals get wiped out by hyenas and birds of prey as the grasses that protected them disappear. Finally, insects die-off as the animals and plants they need for survival vanish. 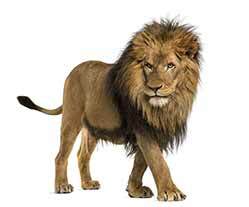 Some probiotic strains keep balance a lot like the lions. Most of these extra special bacteria come from two probiotic families: Bifidobacteria and Lactobacilli. Bifidobacteria support your colon and lower digestive tract. Lactobacilli do their work in the small intestine. Yet, even within these families, a few special probiotic bacteria stand out. When we identified them, we set out to create a new, and even more robust probiotic. Through our research, we identified four special probiotic bacteria that do it all. They support digestion, ease gas and bloating and relieve diarrhea. And the research shows they help your brain. They help you think more clearly. They help you manage stress and keep a positive mood. And they protect your memory and your brain. So we've combined them in a new and unique Advanced Probiotic Formula. What makes it unique? Quality - This robust mix combines four essential probiotic bacteria shown to deliver the biggest benefits for digestion, for your brain and for overall health. Quantity - The new formula provides the ideal amount of CFUs for both maintenance and restoration of digestive health. Value - Now you can get the "good" probiotics you need for less than a month's worth of yogurt. B. lactis Promotes Clear Thinking...and a Slim Waistline! Bifidobacterium lactis is a proven superstar among probiotics. Shortly after birth B. lactis establishes itself in the digestive tract. In infants, it supports immune function and the development of a healthy gut. B. lactis also supports weight loss and metabolic health. 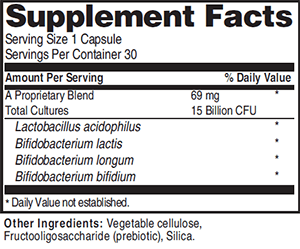 Quite simply, B. lactis gives big support for your gut, your brain, your waistline and your overall health. Yet, it's only one strain in the Advanced Probiotic Formula. Where B. lactis supports clear thinking, B. longum improves memory and learning...and it increases your ability to handle stress. Researchers used a cold pressor test to create stress. This involves plunging the hand and arm into a "bucket" of ice-cold water to create intense physical and mental stress. Study volunteers' who took B. longum had lower levels of the stress hormone cortisol. The study also measured the brain waves of the volunteers during the test. The brains of those who had taken the probiotic showed their response engaged areas of the brain responsible for higher thinking. Volunteers reported feeling less stress on the days they took B. longum. Like B. lactis, B. longum is one of the first to establish in the digestive tract of babies to promote healthy digestion and growth. It remains one of the essential strains in the colon for adults of every age. Aiding in the break-down of carbs. Probiotic bacteria do the most good when in balance. "Keystone" probiotic bacteria maintain that balance. This is why they get so much attention and why so many supplements feature one or two of them. But do you really need a probiotic mix? It was with this in mind that we chose the final two probiotic strains. You see, we wanted to create a probiotic "Dream Team." Frankly, this next one may be the ultimate superstar. L. acidophilus may be the ideal "psychobiotic." It may also be the most famous probiotic bacteria. Its ability to ease conditions like bloating, constipation and diarrhea comes from its integral role in digestion. It breaks down sugars like lactose. It helps your body absorb nutrients from food more efficiently. And like B.lactis and B.longum, research suggests it improves immune response, lowers cholesterol, and keeps blood sugar in balance. But these effects tell only half the story. It does this through interaction with part of your nervous system called the eCB system. When it's in balance, you have a positive sense of well-being. Your mind and memory feel sharp. You don't get sick as easily since the eCB system also keeps the immune system active and working right. When it gets out of balance, the body goes haywire. One sign of imbalance in this system is weight gain.20 Your appetite grows as you always feel hungry. And your metabolism slows. An out of whack eCB system leads to feelings of greater stress and anxiety. The eCB is often out of balance in those suffering from depression. It even affects the quality of sleep you get. From the very earliest ages, B. Bifidum does something very unique. It sticks to the walls of the colon and lower part of the small intestine. It acts like a shield to keep germs away. And like the other three probiotic strains in our Advance Probiotic Formula, it supports both thinking and digestion. Of course, like all probiotic bacteria, it supports digestion. It remains a top probiotic to stop diarrhea and alleviate problems of abdominal pain and bloating. We've Combined Four Potent Probiotics in One Supplement! The combination of B. Bifidum, L. acidophilus, B. longum and B. lactis makes our new formula a strong supporter for both your digestive health and your brain. But with probiotics, it's not just about quality. Quantity is just as important. Probiotics are measured by Colony Forming Units or CFUs. The more CFUs a probiotic contains, the more beneficial bacteria will take hold in the gut. To ensure our probiotic is as effective as possible, we've boosted the number of CFUs in this new formula. Each capsule now contains an impressive 15 billion CFUs! Then we added one final ingredient that makes our Advanced Probiotic Formula the most robust mix i've ever seen. We added a powerful prebiotic, or probiotic food, into our Advanced Probiotic Formula. This way, when the B. Bifidum, L. acidophilus, B. longum and B. lactis arrive in your digestive tract, they've got a ready source of energy. So they can take hold fast and deliver relief even faster. You see, probiotics are headed into a hostile environment - your digestive system! For them to establish themselves in your digestive tract, they need to survive. In order for them to survive, they need food for energy. In every capsule of our Advanced Probiotic Formula, we've included a prebiotic called FOS, short for fructooligosaccharides. It's a natural sugar probiotics love to eat. FOS makes a big impact. Researchers have found that when included in the diet, it helps to increase Bifidobacterial counts by 10x!22 It's like a probiotic superfood! We designed this new Advanced Probiotic Formula to restore digestive health. And research says it will also help you think clearly, keep your memory sharp and give you a positive feeling of well-being. 4 superstar probiotic bacteria - B. Bifidum, L. acidophilus, B. longum and B. lactis. 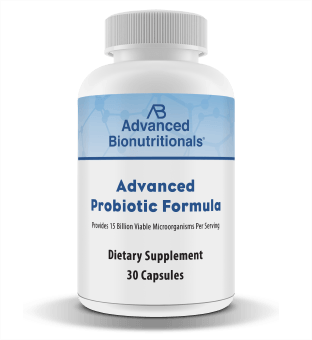 For less than 55 cents a day, you can get started with a probiotic formula that features strains scientifically shown to support digestion and clear thinking. With our generous discounts for larger orders, you'll pay as low as $16.45 per bottle. At that price, it's like getting one bottle free! And if you don't agree that this is simply the best probiotic you've ever tried, you are protected by our 100% Money Back Guarantee. Simply send back the empty bottle within 90 days and we'll refund you every penny you paid - including shipping and handling! You only pay return shipping. Why Wait to Experience Great Digestive Health and Mental Clarity? In the Advanced Probiotic Formula, we've assembled four essential probiotic strains to provide the best possible digestive support. The research shows these strains also contribute to a strong memory, clear thinking and a more positive mood. Order now below or call 800-791-3395 and in a matter of days you'll feel the difference. You'll enjoy calmer, healthy digestion and provide support to keep your mind strong regardless of your age! P.S. We now know that probiotics do more for us than aid digestion and ease gas and bloating. They can also support your brain and ability to think clearly. Order Advanced Probiotic Formula now to keep your mind and memory sharp! Order your own supply below. ACT NOW! Order Your Advanced Probiotic Formula Today! 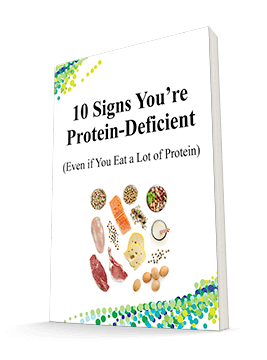 A breakthrough and easy way to get enough protein to reverse protein deficiency, heal your body, and stay strong and vibrant as you age. 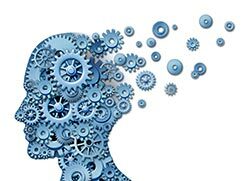 3 hidden memory-destroying triggers that no one told you about. Plus... the latest scientific research on how to undo the damage and get your memory back. A simple test you can do at home to track your memory. I call it a "test," but it's really more like a game.